sole discretion of the Preferred Jeweler. as the stones will loosen and the integrity of the ring will never be the same. so that we can check for any loose stones and perform the necessary repairs. ultrasonic cleaning and polishing machines are used to bring your jewelry to pristine condition. days before “due date? inspection. Please ensure that we have a valid email address on file. 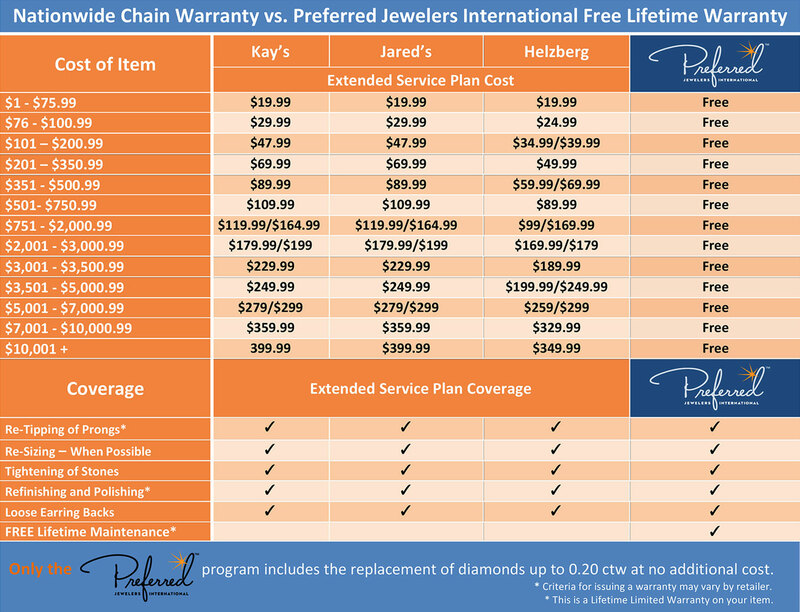 to bring the item back into warrantable condition and then update and reinstate the warranty. assure that your jewelry is repaired. for free repairs under the warranty? condition and then reinstate the warranty. Insurance coverage is highly recommended.